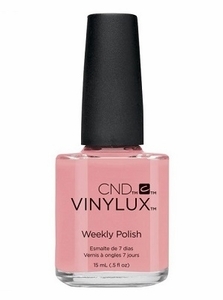 CND Vinylux Weekly Polish, Pink Pursuit, 215, .50 fl. oz. Muted pink creme nail color. CNDV Flirtation Collection, Summer 2016. *Please note: CND Vinylux Weekly Top Coat should be used with this nail polish for maximum results.